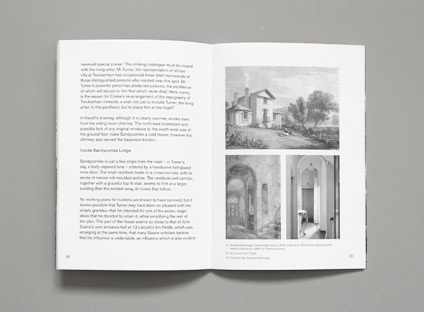 Sandycombe Lodge was designed and built by JMW Turner in 1813. 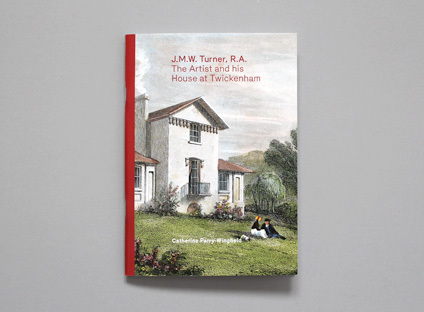 Situated in Twickenham in south west London, the house consists of a modest broadeaved, central two-storey block, anchored by single-storey wings, with a basement where the central room is lit by a semi-circular window. 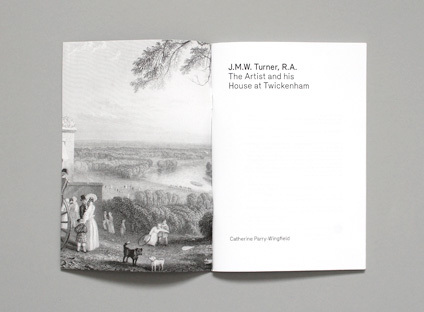 Turner’s House Trust are a charitable fund who aim to restore the house for educational and tourist interest. 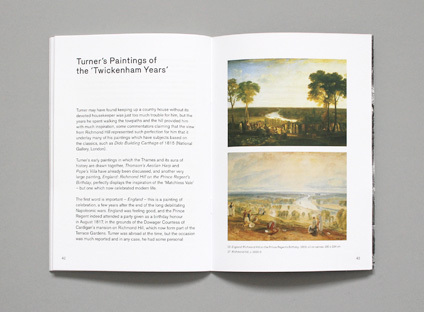 This book, detailing the history of the house and Turner’s time in Twickenham, was produced to raise funds and public awareness for the trust.